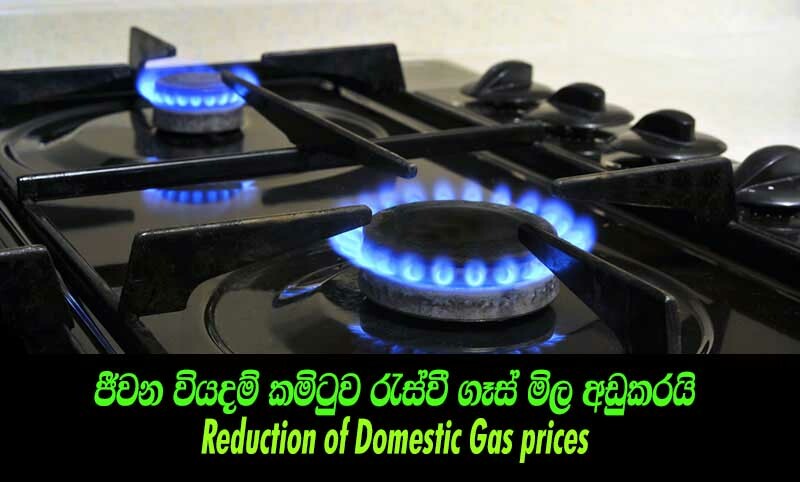 (Lanka e News - 30.June.2018, 7.10PM) The LPG domestic gas price of a 12.5 Kg cylinder has been reduced by Rs 138 from Rs 1676.00 to Rs 1538.00, WITH IMMEDIATE EFFECT. The Consumer Affairs Authority has sent the two Determination Letters yesterday (29) June 26, 2018 afternoon to the Companies concerned. This Determination follows the order to this effect made by the Cost of Living Committee of Sri Lanka on 26 June 2018.